Objectives: To determine the number and diagnoses of caries-related complaints presenting at Canada’s largest children’s hospital emergency department (ED) and the costs associated with treatment over 5 years. Methods: We carried out a retrospective review of the health records of all children who presented to The Hospital for Sick Children, Toronto, with caries-related emergency complaints from 1 January 2008 to 31 December 2012. A caries-related complaint was defined as a chief complaint of pain or swelling resulting from the sequelae of dental decay (reversible pulpitis, irreversible pulpitis, abscess or cellulitis), as recorded in the chart by the treating physician or dentist. Visit information included chief complaint, final diagnosis, treatment rendered and patient disposition at discharge. Decision Support Services, a hospital department that analyzes resource use and associated costs, calculated the institutional costs for the episodes of emergency care. Results: There were 1081 visits over the 5-year period, with a 19% increase in visits over that time. The most common presenting complaint was pain (50.8%) and the most common diagnosis abscess (35.6%). A dentist was consulted for 60.0% of the children and dental treatment in the ED was provided for 25.9%. The mean cost of treatment per patient was Can$575.17 (95% confidence interval $501.91–$648.43). Conclusions: Over the 5-year study period, dental visits to this tertiary care pediatric hospital increased. The most common complaint was pain, and the diagnosis for about a third of these cases was abscess. Dental consultation was often included in the management of these patients and the resultant cost of these visits was about Can$600/patient. American and Canadian studies confirm that, for adult populations, most caries-related complaints are managed pharmacologically with prescription medications.2,9,10 A similar pattern has been demonstrated in children’s hospital EDs; most children who present with a caries-related complaint are prescribed a course of oral antibiotics and a recommendation for follow-up care with a dentist.11,12 In children’s hospitals that provide emergency dental services, patients presenting with a caries-related complaint are still likely to be managed medically.13,14 In a study at the Children’s Medical Center of Dallas, a dentist was consulted for only 6 of 156 children who presented to the ED13; few children received definitive dental treatment despite the availability of a 24-h dental consulting service. In Canada, provincial health insurance covers most of the costs of hospital and physician treatment, whereas dental treatment is charged to the patient or his/her insurance or government program when applicable. In Ontario, some surgical-dental treatment delivered in hospital for eligible patients, including treatment of dental-related hospital ED visits, is covered by provincial insurance. Given the increasing numbers of children seeking care in EDs in Canada for caries-related complaints, knowing the costs of such visits is important. The main objectives of this study were to determine the frequency with which children access the ED at Canada’s largest children’s hospital for caries-related visits and the cost of these visits. The medical records department prepared a list of children seen within the specified dates with the applicable ICD-10 codes. Once the children were identified, final eligibility was determined by reviewing the corresponding health records in the electronic patient chart. Complaints related to trauma, salivary glands, cysts and tumours of the jaws, temporomandibular joint, teething, gingival stomatitis or causes undetermined were excluded from the study, as were incomplete chart entries. The data were entered into a FileMaker Pro/Server 12 (2012) database. Elements of this dataset were exported to SPSS 23 (2012) for final data analysis. Frequencies of chief complaints, diagnoses, tooth involved and treatments rendered were calculated. Statistics, including the mean and standard deviation for costs by department and by overall treatment, were calculated. The Research Ethics Board at SickKids approved this study, and data were secured in accordance with Research Ethics Board requirements (REB approval #:1000039465). During the 5-year study period, 1123 children presented to the ED with a caries-related complaint. Of these, 1081 children for whom complete costing information was available were included in this study (96.3%). From 2008 to 2012, the number of caries-related visits increased by 19%. Most children (64%) were 6 years old and under (Table 1). The most frequent (36%) diagnosis was abscess, but when abscess and cellulitis were combined, over 50% of children presented with some sort of oral swelling (Table 3). Table 1: Ages of children presenting to The Hospital for Sick Children emergency department with caries-related complaints from 1 January 2008 to 31 December 2012. *Note: Total exceeds 100% as a result of rounding. Table 2: Chief complaint of children presenting to The Hospital for Sick Children emergency department with caries-related complaints from 1 January 2008 to 31 December 2012. Table 3: Diagnosis for children presenting to The Hospital for Sick Children emergency department with caries-related complaints from 1 January 2008 to 31 December 2012. Families presenting to the ED were triaged by a nurse who ascertained whether the chief complaint was oral in nature. An ED physician then either managed the complaint or requested consult with the on-call dentist. Most of the children in the study group (60%) received a dental consultation in the ED, and 26% received definitive dental care in the ED. The most frequent treatment provided was extraction (23%). The average cost of providing definitive surgical management in the ED was Can$291.00 less than the overall mean cost of care of Can$575.17 (Table 4). There was a statistically significant difference in average cost between treatment in the ED and outside the ED. Treatment under general anesthesia was associated with the highest mean cost at Can$3 330.30. Costs were also broken down by category (Table 5). Table 4: Mean cost by type of care for children presenting to The Hospital for Sick Children emergency department with caries-related complaints from 1 January 2008 to 31 December 2012. Table 5: Allocation of costs of treatment of children presenting to The Hospital for Sick Children emergency department with caries-related complaints from 1 January 2008 to 31 December 2012. The mean cost per visit was Can$575.17, but the range was Can$63.31–$24 717.01. The highest cost for a visit was for a patient with acute lymphoblastic leukemia, who required a 10-day admission, and the cost for this case was mainly for nursing resources. When this potential outlier was removed from the calculation of mean cost, the result was Can$552.82. This study is the first to examine long-term use and costs associated with providing care for caries-related complaints in the ED at a Canadian children’s hospital. Our findings provide insight into the needs of children presenting to a major children’s hospital ED with caries-related complaints and the treatment provided over a 5-year period. Pain caused by dental caries was the most common reason for seeking care at the hospital ED, a finding supported by earlier studies.11,13,17,18 Diagnoses of abscess and caries were almost equal in proportion. Combining cellulitis and abscess shows that over 50% of patients presented with perioral swelling. Acute symptoms are thought to be the most immediate determinant of care-seeking behaviour. What a health care provider may consider to be minor may be seen as serious by worried parents. It is not surprising that parents of children with facial or oral swellings would seek emergency care. Children with caries-related complaints often present with fever, irritability, decreased appetite and sleep disturbance. Their parents may feel that immediate attention is needed, and this helps to explain why families seek care in hospital EDs. In an American adult population that sought dental care at the ED, 80% subsequently visited a dental office suggesting that, although the ED treated the emergency symptoms, the underlying dental cause was not addressed.19 Caries-related complaints were more likely to receive a medication prescription compared with all other ED complaints.2 Many such studies have been carried out at institutions that did not have an on-call dentist. Our results reveal a consistent level of consult with the on-call dental service, with over 60% of children examined by a dentist. The proportion of children, who receive a definitive dental treatment at children’s hospitals that provide an on-call dental service varies,4,18,20 but one study revealed that most patients were still managed pharmacologically.13 In our study, as a result of the frequent dental consults, treatment in the ED was provided for over 25% of patients, with a further 5.9% referred to the dental clinic for later treatment. This may be because of the long-standing presence of the dental department in the hospital and emergency physicians’ awareness of the available dental consulting service. A 2000 study reported that 9.3% of children’s ED visits for oral problems resulted in admission to hospital.21 Our study had a similar rate of admission at 9.0%. Although this was only 97 patients over 5 years, the mean cost per patient of Can$2086.34 amounts to a cumulative cost of over Can$200 000. Most of the expense was accounted for by the nursing required to manage more advanced sequelae, such as dehydration, severe pain and fever. In Canada, dental care is financed primarily through insurance, both private and public, as well as out-of-pocket payments22; thus, the increase in caries-related visits to children’s hospital EDs — 19% over 5 years — suggests that public policies in Canada may be failing to provide adequate access to dental care. During the same period, the overall number of patient visits to the SickKids ED increased only 16%.23 Over the next 30 years, the annual number of visits to Canadian EDs could increase by 40%, from 15 million in 2013 to over 21 million in 2043.24 If the increase in visits for caries-related complaints continues to outpace that for all ED visits, then hospital resources may not be able to meet demand in the future. Identifying the factors that spur the use of the hospital ED for dental complaints will help policymakers create programs to improve services and potentially lessen the reliance on the ED to manage caries-related complaints. In the United States, policymakers are beginning to explore creative alternatives to improve access to dental care. Pilot projects have demonstrated the effectiveness of diversion programs aimed at patients who present at an ED with a caries-related complaint. Innovative programs that increase access to dental care to decrease ED use could help ensure timely, comprehensive and affordable dental care for vulnerable children. In the meantime, with visit counts rising and an average cost of almost Can$600 per patient, children’s hospital EDs arguably need to be equipped to treat children with caries-related complaints. Dr. Ehrlich Friedman is a staff pediatric dentist, Holland Bloorview Kids Rehabilitation Hospital, Toronto, Ontario. Dr. Quiñonez is s a dental public health specialist, associate professor, and graduate program director in dental public health, faculty of dentistry, University of Toronto, Toronto, Ontario. Dr. Barrett is a staff pediatric dentist, department of dentistry, The Hospital for Sick Children, and an associate professor, faculty of dentistry, University of Toronto, Toronto, Ontario. Dr. Boutis is a staff emergency physician, division of emergency medicine, The Hospital for Sick Children, and an associate professor, faculty of medicine, University of Toronto, Toronto, Ontario. Dr. Casas is dentist-in-chief, department of dentistry, The Hospital for Sick Children, and an associate professor, faculty of dentistry, University of Toronto, Toronto, Ontario. Acknowledgements: We thank Beatrice Beaubien, PhD, project manager, Data Management and Custom Applications; Ethel Lagman, decision support specialist, and Ladan Dadgar, director, Decision Support; and Chetna Mistry and Emily Nisbett, summer research students, Department of Dentistry, all at The Hospital for Sick Children, Toronto, Canada. Lewis C, Lynch H, Johnston B. 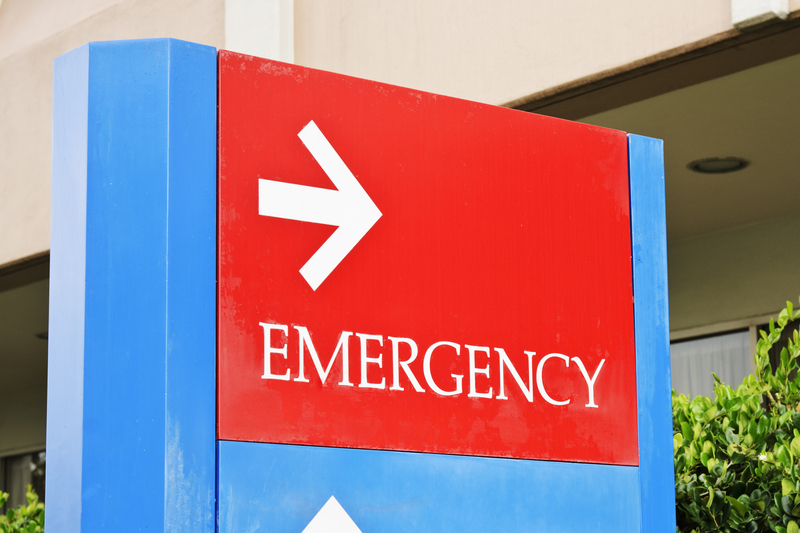 Dental complaints in emergency departments: a national perspective. Ann Emerg Med. 2003;42(1):93-9. Zeng Y, Sheller B, Milgrom P. Epidemiology of dental emergency visits to an urban children’s hospital. Pediatr Dent. 1994;16(6):419-23. Rowley ST, Sheller B, Williams BJ, Mancl L. Utilization of a hospital for treatment of pediatric dental emergencies. Pediatr Dent. 2006;28(1):10-7. Friedman M. Trends in utilization of a pediatric hospital emergency department for caries-related complaints [master’s thesis]. Toronto: Department Dentistry, University of Toronto; 2016. Low W, Tan S, Schwartz S. The effect of severe caries on the quality of life in young children. Pediatr Dent. 1999;21(6):325-6. Dorfman DH, Kastner B, Vinci RJ. Dental concerns unrelated to trauma in the pediatric emergency department: barriers to care. Arch Pediatr Adolesc Med. 2001;155(6):699-703. Wilson S, Smith GA, Preisch J, Casamassimo PS. Nontraumatic dental emergencies in a pediatric emergency department. Clin Pediatr (Phila). 1997;36(6):333-7. McCormick AP, Abubaker AO, Laskin DM, Gonzales MS, Garland S. Reducing the burden of dental patients on the busy hospital emergency department. J Oral Maxillofac Surg. 2013;71(3):475-8. Nalliah RP, Allareddy V, Elangovan S, Karimbux N, Allareddy V. Hospital based emergency department visits attributed to dental caries in the United States in 2006. J Evid Based Dent Pract. 2010;10(4):212-22. Oliva MG, Kenny DJ, Ratnapalan S. Nontraumatic dental complaints in a pediatric emergency department. Pediatr Emerg Care. 2008;24(11):757-60. Sheller B, Williams BJ, Lombardi SM. Diagnosis and treatment of dental caries-related emergencies in a children’s hospital. Pediatr Dent. 1997;19(8):470-5. Graham DB, Webb MD, Seale NS. Pediatric emergency room visits for nontraumatic dental disease. Pediatr Dent. 2000;22(2):134-40. Von Kaenel D, Vitangeli D, Casamassimo PS, Wilson S, Preisch J. Social factors associated with pediatric emergency department visits for caries-related dental pain. Pediatr Dent. 2001;23(1):56-60. Quiñonez C, Ieraci L, Guttmann A. Potentially preventable hospital use for dental conditions: implications for expanding dental coverage for low income populations. J Health Care Poor Underserved. 2011;22(3):1048-58. Schedule of benefits: dental services under the Health Insurance Act. Toronto: Ministry of Health and Long-Term Care; 2006. Fleming P, Gregg TA, Saunders ID. Analysis of an emergency dental service provided at a children’s hospital. Int J Paediatr Dent. 1991;1(1):25-30. Ladrillo TE, Hobdell MH, Caviness AC. Increasing prevalence of emergency department visits for pediatric dental care, 1997-2001. J Am Dent Assoc. 2006;137(3):379-85. Cohen LA, Bonito AJ, Eicheldinger C, Manski RJ, Macek MD, Edwards RR, et al. Comparison of patient centeredness of visits to emergency departments, physicians, and dentists for dental problems and injuries. J Am Coll Dent. 2010;77(4):49-58. Lombardi S, Sheller B, Williams BJ. Diagnosis and treatment of dental trauma in a children’s hospital. Pediatr Dent. 1998;20(2):112-20. Pettinato ES, Webb MD, Seale NS. A comparison of Medicaid reimbursement for non-definitive pediatric dental treatment in the emergency room versus periodic preventive care. Pediatr Dent. 2000;22(6):463-8. Locker D, Maggirias J, Quiñonez C. Income, dental insurance coverage, and financial barriers to dental care among Canadian adults. J Public Health Dent. 2011;71(4):327-34. The impact on emergency department utilization of the CFHI healthcare collaborations and initiatives. Ottawa: Canadian Foundation for Healthcare Improvement; 2013. Available from: http://www.cfhi-fcass.ca/sf-docs/default-source/reports/risk-analytica.p.... Accessed 2016 Feb 12.